No, it's not a new adaptation of H.G. Wells "War of the Worlds", nor is it the name of a new planet orbiting Saturn. Ever since cars have existed, inventors have been forever seeking to develop new technical solutions which – some believe – will definitely end up being revolutionary. This was the thinking behind the concept of a vehicle with four wheels positioned in a lozenge configuration… a concept that first saw the light of day practically a century ago. Cars running in "Rhomboid" configuration. "Car of the Future" project. This unusual concept is still in the news, since the most recent Rhomboid configuration vehicle was built in 2007. This year, visitors to the show saw 5 cars – the only ones of their kind in the world – with their wheels positioned in a lozenge configuration. 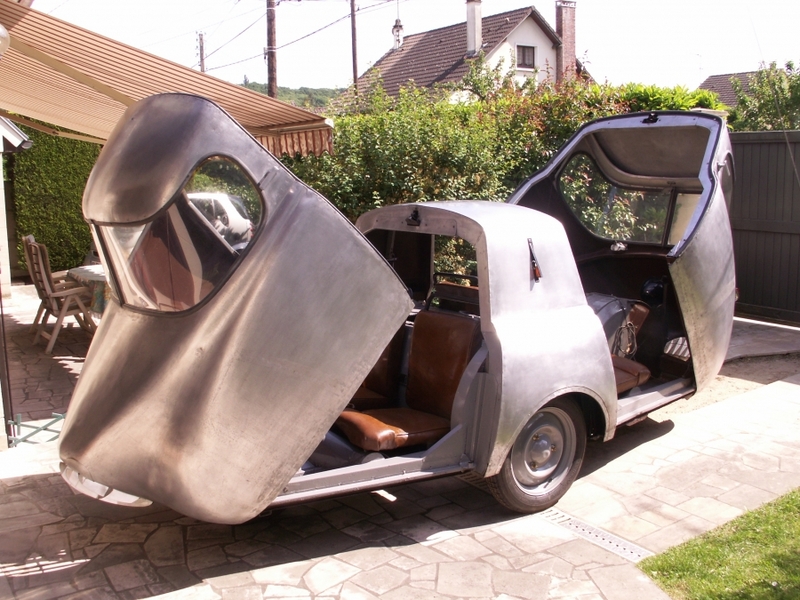 The 1947 aluminium-body Alamagny, the front and rear of which are identical. This symmetrical vehicle was first road-tested at the Montlhéry racetrack.. 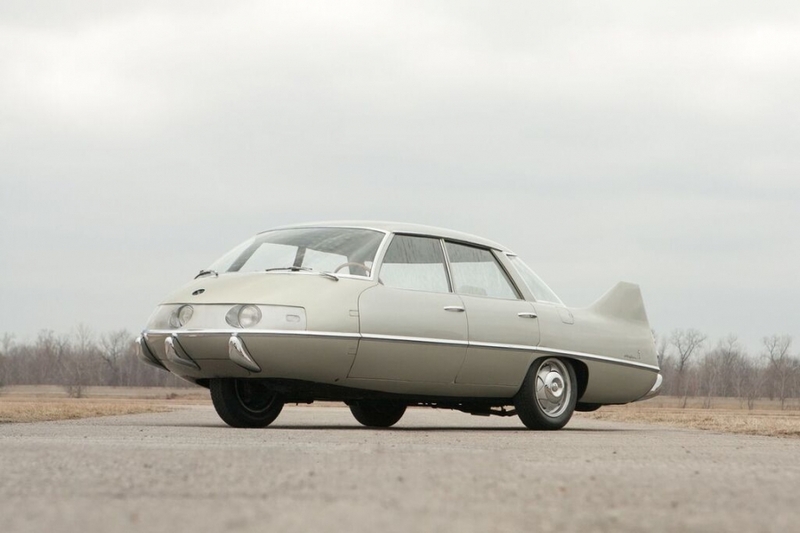 The 1960 PFX PININ FARINA was designed by engineer Alberto Morelli. The bodywork of this prototype is exceptionally aerodynamic. 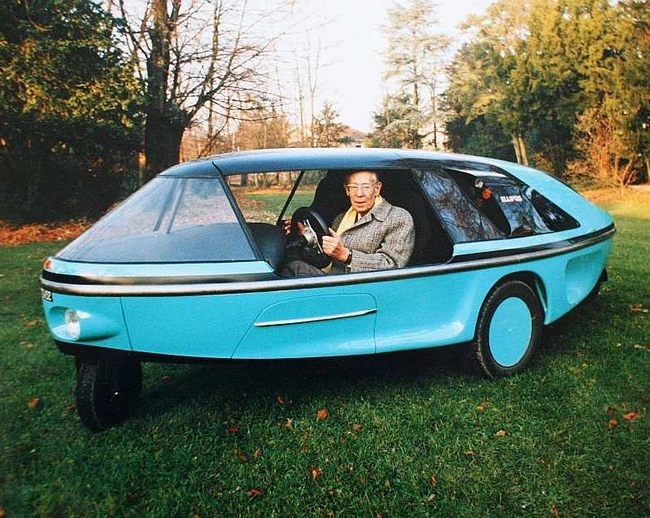 The 1968 Automodule, an extraordinary spherical car which looks straight out of a 1970s science-fiction film. 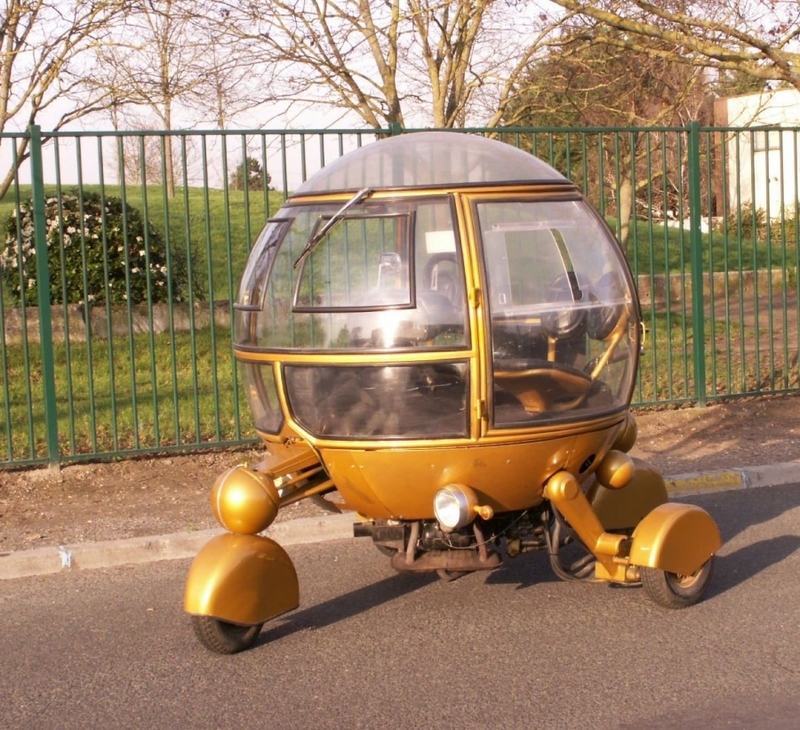 Designed by Jean Pierre Ponthieu for an advertising campaign, one of its distinctive features is its ability to perform wheelies and rotate on its own wheels. 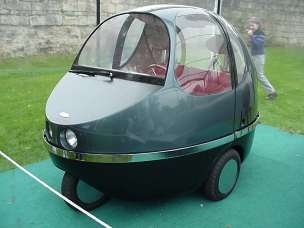 The 1996 City, a prototype for a mini electric city car with sliding bodywork designed by the great French designer Philippe Charbonneaux. 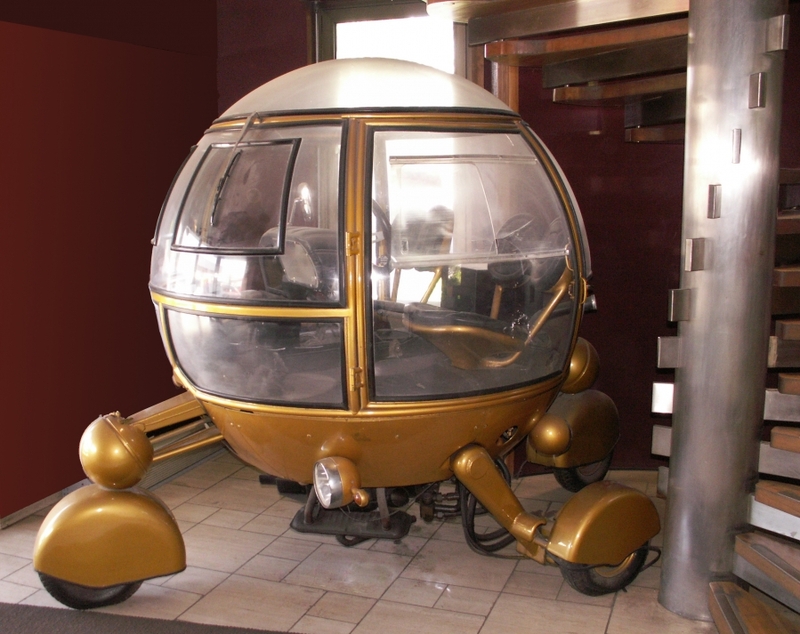 The Ellipsis, a futuristic prototype designed in 1990 by great French designer Philippe Charbonneaux with an egg-shaped passenger compartment designed to maximise protection in the event of a collision.